When Hurricane Florence hits, what will happen to North Carolina’s wild horses? 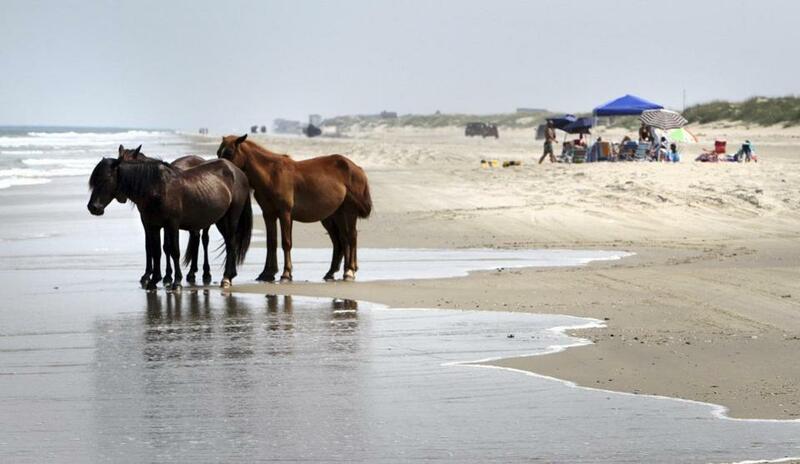 A group of wild horses cooled off in the ocean breeze on the beach in Corolla, N.C., in 2011. ‘‘Thinking of all of the horses as Florence approaches. ... Praying for their safety,’’ wrote one concerned woman. ‘‘Prayers for protection from the storm for these beautiful animals & the young foals,’’ wrote another. 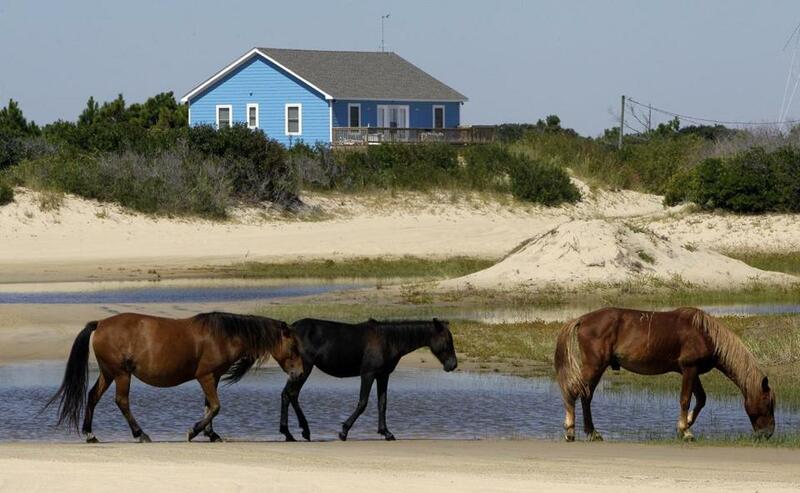 Wild horses roamed in Corolla, N.C., in 2010. ‘‘Naturally, they are meant to be outside and they have high ground and they have thick places to hide,’’ Stuska said. ‘‘The horses have lived on this barrier island for 500 years, and they are well equipped to deal with rough weather,’’ the group wrote. ‘‘They do have an instinct for protection, of trying to head for higher ground, getting out of the wind and then sticking together in a group,’’ he said.